Inspired by Bouguereau's L'Innocence, artist Michael Adams brilliantly illustrates the peace and love the world received at the birth of our Savior. 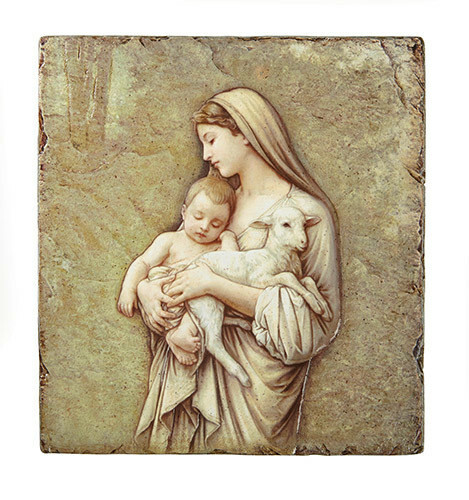 Pairing the art with a textured tile surface creates a unique way to display this favorite Catholic image as home decor. This finely detailed tile can be hung on the wall or placed on the wire stand included as part of a freestanding vignette. Comes with an elegant gift box.